Interesting YouTube videos showing how hard drives are made at a Western Digital and Seagate factory, respectively. In an earnings call to discuss its Q4 2016 performance, Seagate told investors that it plans to offer 14TB and 16TB hard drives over the next 18 months, with its eye on offering 20TB hard drives by 2020. Forbes has an interesting summary of the status of the hard drive market, which is surprisingly robust. 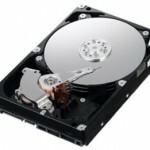 The recovery in HDD units is driven by the growth in high-capacity nearline HDDs as well as a stabilization of PC demand. Nidec [which manufactures HDD spindle motors] also raised its HDD projections for the second quarter of 2017, although it thinks HDD units will decline 4% Y/Y in 2017. Overall drive shipments in 2016 were down about 9.4% at 424 M units shipped in 2016. This was a bit better than the 10% decline predicted by Nidec. High Performance Enterprise HDDs declined 11.3% in 2016 while Nearline HDDs increased by 1.5%. Desktop HDDs declined by 18.6% while notebook HDDs declined by 19.9%. Branded (mostly external HDDs) declined by 7.9% while Consumer Electronics HDDs increased by 20.8%, driven by game storage and some set-top box sales. Meanwhile, SSD prices per gigabyte continue to slide, but are still about 9 to 10 times higher than HDDs. Somehow I missed this Seagate press release announcing the release of a 1.5 TB hard drive planned to ship in August. Alas, no pricing. However, the downward pricing on magnetic media continues unabated. I’ve seen 750gb HDs from big retailers hitting the $110 range. At the rate prices keep dropping, it won’t be much longer before the cost/gb of hard drives falls below that of optical media like DVD+R. The bigger long term problem, at least for those like me who like to have optical-media backups is that Blu-Ray media is still very high. The cheapest I could find 25gb Blue-Ray write-once media was $11.50 which is 46 cents/gb. Three times higher than magnetic media, and nine times higher than DVD+R on a per gigabyte basis.